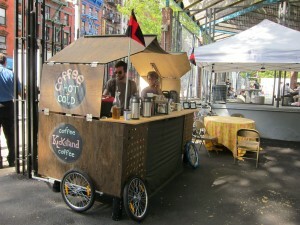 As a foodie, I find the Lower East Side so charming. Quaint little food shops and restaurants are popping up all over the place and I for one just love to explore it all. 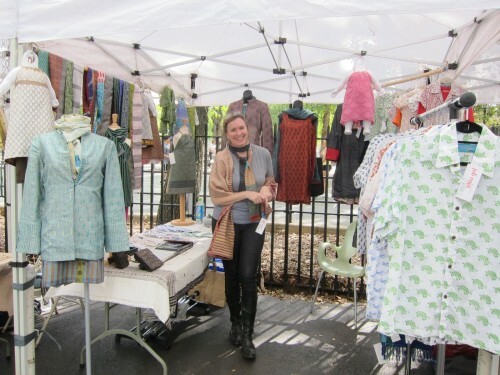 One of my most interesting recent finds was the Hester Street Fair located at Hester and Essex Street. 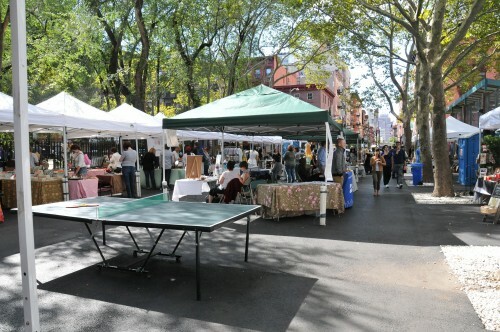 The Hester Street Fair is a brand new street fair, which is modeled on the Brooklyn Flea. At this hip little market one can find everything from macarons to men’s shirts! 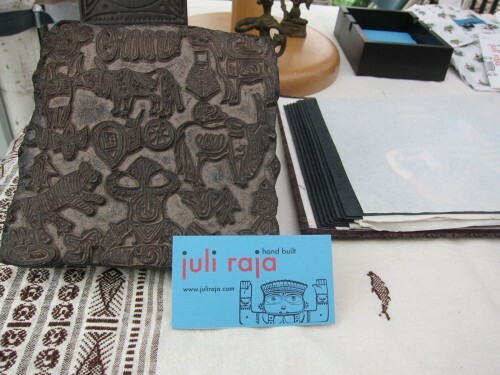 I have to give props to my friend Juli Raja who has a booth full of fabulous block printed textiles that she has designed and turned into exquisite scarves, shirts, children’s clothes and so on. Do stop by and check her stuff out at http://www.juliraja.com/. I love the energy that fills the air at the Hester Street Fair. Creativity and self-expression decorate every booth or table one visits. This is a place where people are truly living out their passions and I’m all for that. 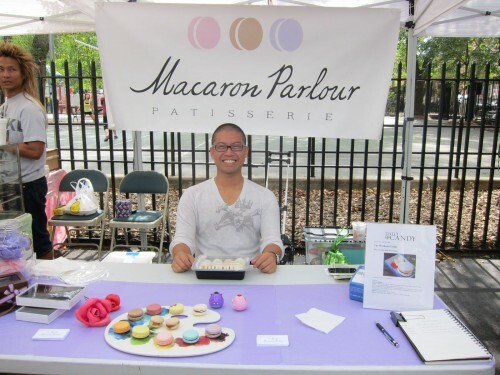 My favorite stop was at the Macaron Parlor where I met with Simon Tung, who along with Christina Ha, recently began this truly audacious macaron spot. 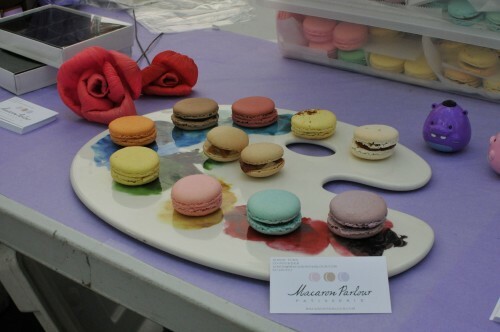 Macarons here are an art form and divine in taste! I love how along with the more traditional flavors, they have had the guts to create flavors such as Thai chili and candied bacon. 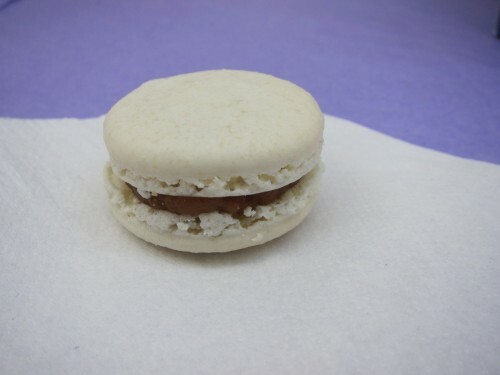 Whoever said that a macaron could not be a savory treat? They also donate $1 from the sale of every lemon macaron to Alex’s Lemonade Stand, an organization committed to find a cure for pediatric cancer. Sweet all the way through – Bravo guys! Want to play with ice? 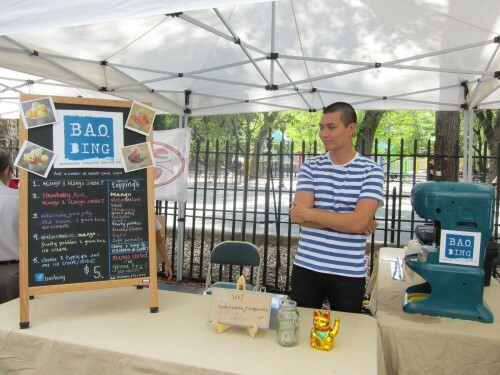 Bao – Bing can certainly show you how. This Taiwanese inspired shaved ice treat stall has all the ingredients for making dessert really fun (and sorta healthy too). Carson Yiu is one of the enigmatic faces behind this venture and pursuing his passion is sure paying off. 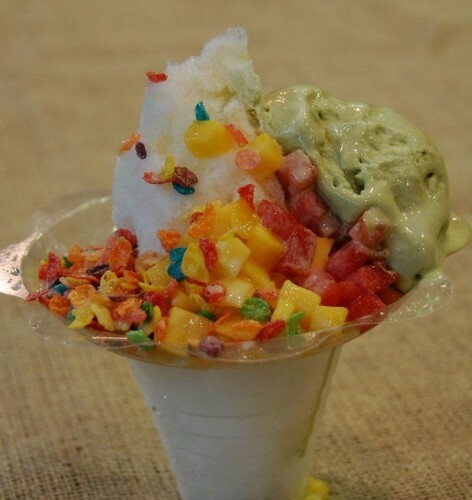 At Bao-Bing, you can pick from a menu of items to create a yummy shaved iced treat that is just right for you. 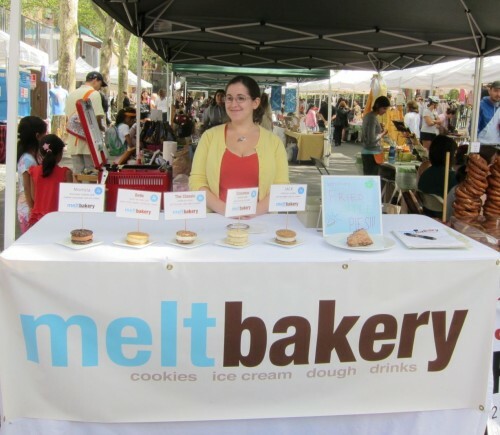 Melt bakery hits the sweet spot right as you walk in through the gates of the fair. 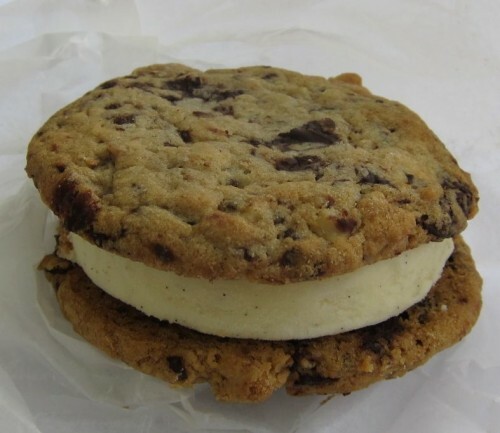 This ice-cream cookie sandwich bakery uses traditional cookies and artisanal ice creams. It is the brainchild of Julian Plyter and Kareem Hamady. They offer a variety of flavors that are sure to please every passing palate. 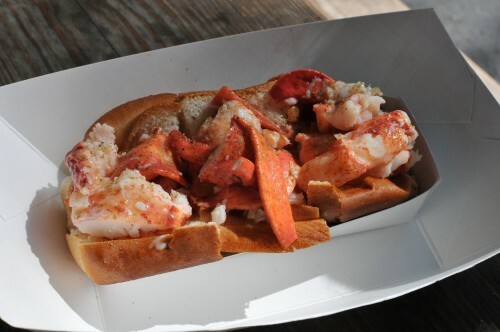 Luke’s Lobster is sure to satisy any seafood craving. Their lobster, crab and shrimp rolls are made with a hearty helping of seafood on a buttered roll and topped with a flavorful seasoning. It really hits the spot. This unassuming Japanese eats stall is part of the giant Japanese Market called Nijiya, which is located in upstate New York. 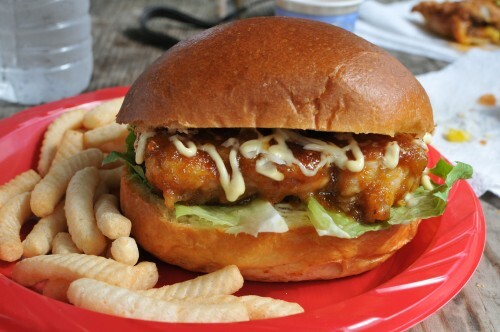 Here they serve up everything from hot Taiyaki ( fish shaped waffles with various fillings) to chicken teriyaki burgers and more. It is definitely worth a stop-off. 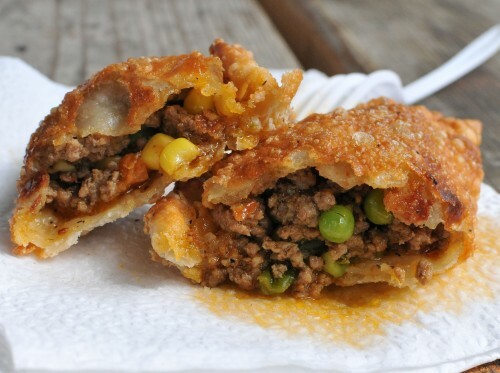 This food stall strives to make Empanadas that will bring a smile to your lips. 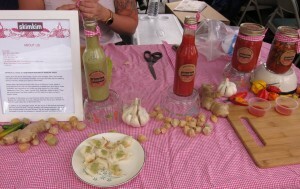 They offer a variety of fillings such as pulled pork, chicken , vegetarian and so on. 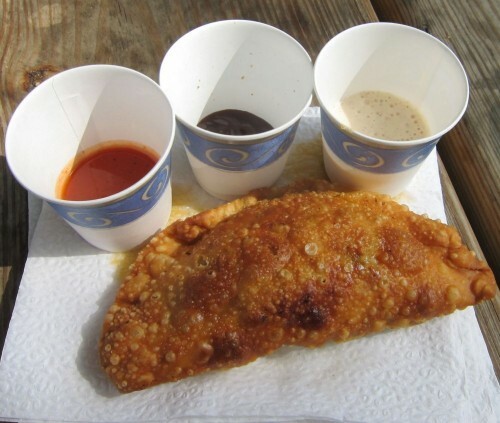 They even serve dessert Empanadas. Talk about mixing it up. 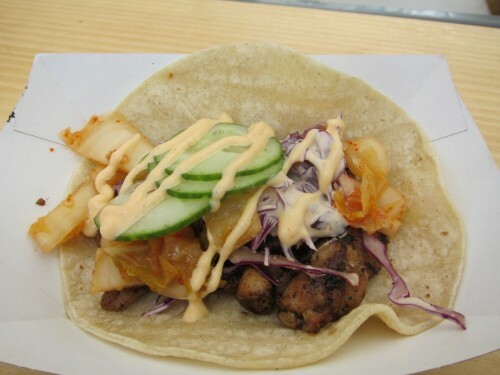 At Pak Taco they serve Korean inspired tacos that are really yummy. 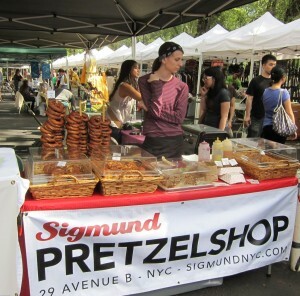 On your way in or out don’t forget to check out the Kick Stand Coffee Stall, grab a few pretzels from the Sigmund Pretzel or sample the savory butters and vinaigrettes with a Korean twist at Skimkim. 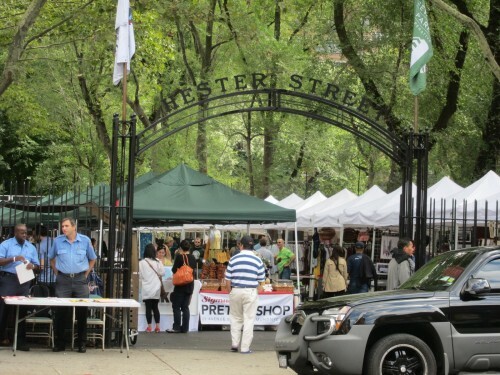 All of this is what makes wandering through the Hester Street Fair a truly flavorful experience. 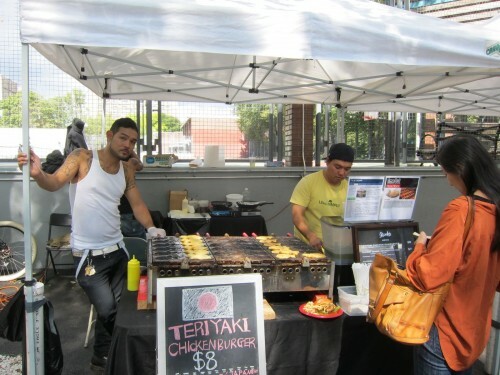 This entry was posted in Lower East Side and tagged Bao Bing at the Hester Street Fair, Bao Bing NYC reviews, Chicken teriyaki burgers at the Hester Street Fair, Food at Nijiya, Food at nijiya at the Hester Street Fair, food at the Hester street fair, Hester street fair, Hester street fair food, Hester street fair foodies, La Sonarisa at the Hester Street Fair, lukes lobster at the Hester Street Fair, Macaron Parlor, Macaron Parlor at the Hester Street Fair, Macaron Parlor reviews, Melt bakery at the Hester Street Fair, Nijiya at the Hester Street Fair, Pak at the Hester Street Fair, Pak reviews, Reviews for La Sonarisa, reviews for lukes lobster at the Hester Street Fair, reviews for macaron parlor, reviews for melt bakery, reviews for the Hester street fair food, Thai chili macaron. Bookmark the permalink. wow.. so yum!!! 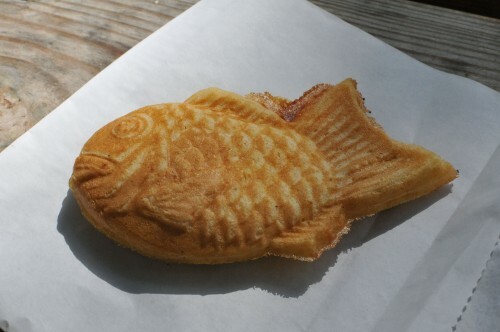 I have never seen a fish shaped waffle!! U have opened my eyes mal! !